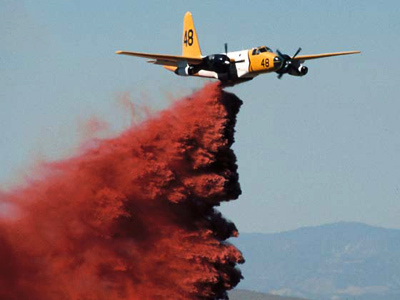 A fire-fighting air tanker dropping retardant on a remote wildfire in Utah has crashed, killing the two pilots on board. The craft was battling the advance of a 5,000-acre blaze that is spreading rapidly across the region. The crash took place near the Utah-Nevada border. Local authorities say that sheriff's deputies were able to reach the plane after the Sunday afternoon crash and confirmed that both pilots had died. 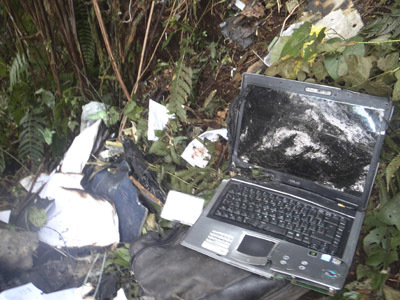 The cause of the crash is unknown. The aircraft was dropping a load of retardant on a White Rock fire, which had been caused by a lightning strike in eastern Nevada on Friday night. The blaze later spread across the border with Utah. Reports cite a statement by the Bureau of Land Management which says that the P-2V tanker went down shortly before 1pm local time (7pm UTC). The owner of the aircraft is Neptune Aviation Services, a Montana-based company. The past weekend has sadly seen more than its share of air disasters, with two planes also crashing in Africa. 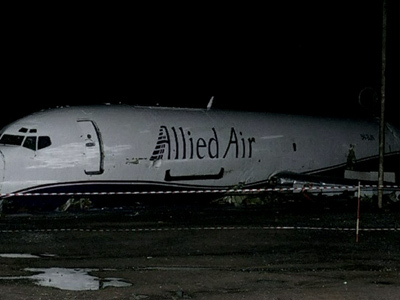 A cargo Boeing 727 of Allied Air crashed through an airport's perimeter fence in Ghana and slammed into a bus on a nearby street, killing 10 people on the bus. 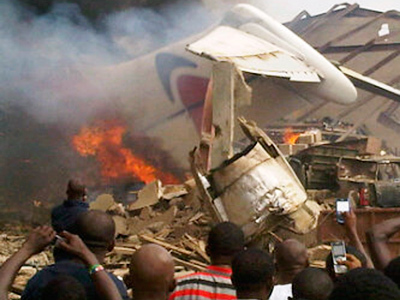 In the second incident, a Dana Air Boeing MD83 went down near the Nigerian city of Lagos, killing all 153 people onboard.